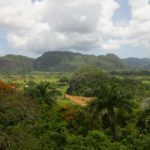 Cuba and Vintage Cars: Cliche or Reality? 2 Why so many old American cars anyway? 5 What does the collective taxi cost? 6 Are the typical Cuban classic cars still original? 7 Do the cab drivers speak Spanish? 11.7 How will it happen in reality? 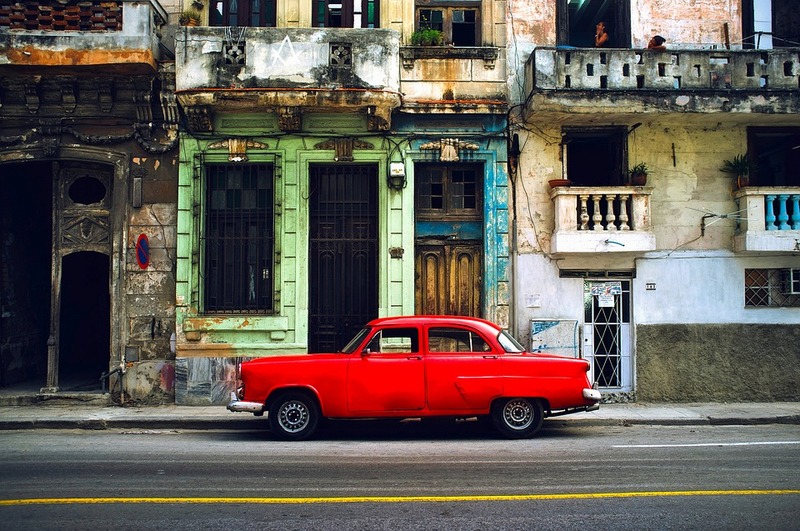 Hardly any other motif stands for Cuba as much as the classic cars from the 40s and 50s. 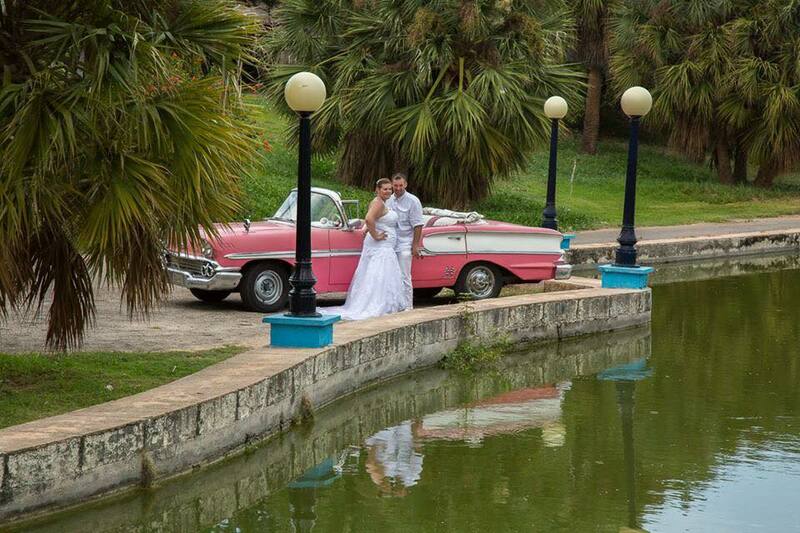 Those cars probably are – shortly behind the Cuban women 😉 – the most photographed models of the island. But how come there are so many old cars driving around Cuba? They didn’t have that in the German Democratic Republic either. Why so many old American cars anyway? The classic cars are, naturally, the survivors of pre-revolutionary Cuba. Of course, if you could afford it, you drove a US sled in Cuba – that’s why there are only a few European cars, the focus was on relations with the USA. After the revolution, it was still allowed to own and trade cars, but only if they had been built before 1959, so that these classic cars were almost the only private cars until the 2000s. There were also expropriations, certain models were acquired for the state, but in general the cars remained with their owners – even if they could not do much with them. Many of the beautiful cruisers were mothballed, butchered and rusting away. Until the new regulations for the self-employment came into force. Cuba has a huge logistical and infrastructural problem: there are not enough transport possibilities. A few years ago, therefore, the state gave up the monopoly of transport of private individuals, everyone could acquire a taxi license. Finally it made sense to own an old car: you could officially make money with it. The great time of the old cars began. They resurfaced: repaired, reassembled, once again they were driving in the street as taxis – but not as a classic taxi in our sense, but as a collection or route taxi, i.e. more a minibus than a taxi in the conventional sense – hence the joke in the introduction. 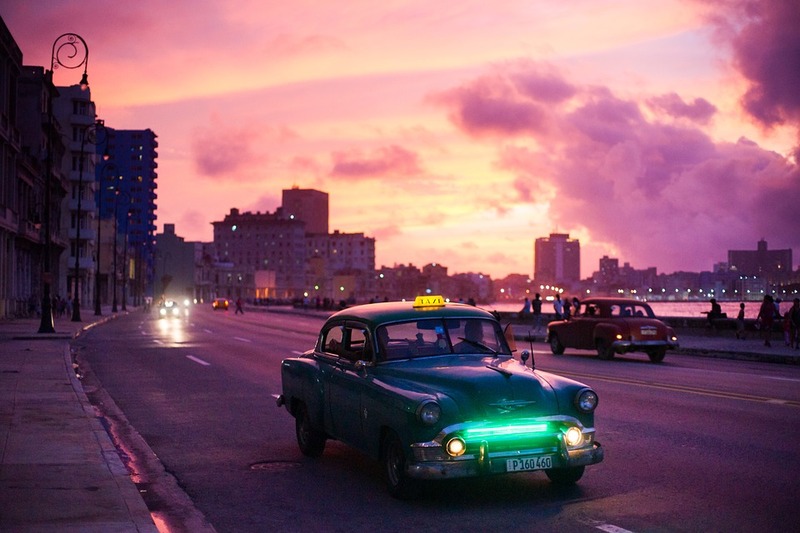 The term for these taxis in Cuban Spanish is Almendrón or Maquina. What does the collective taxi cost? The typical route (e.g. from the centre of Vedado to the Capitolio) costs 10 Pesos Nacionales or 50 CUC-Cent. Due to the current fuel shortage, most routes have been shortened somewhat – the state had forbidden the taxis to increase prices. 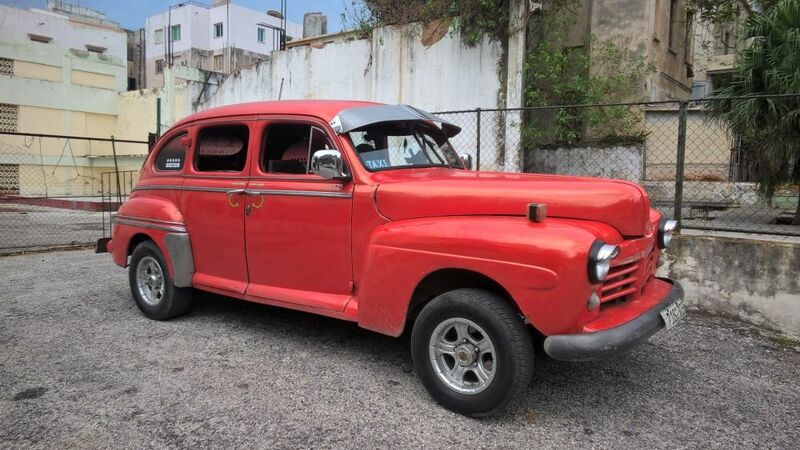 Are the typical Cuban classic cars still original? 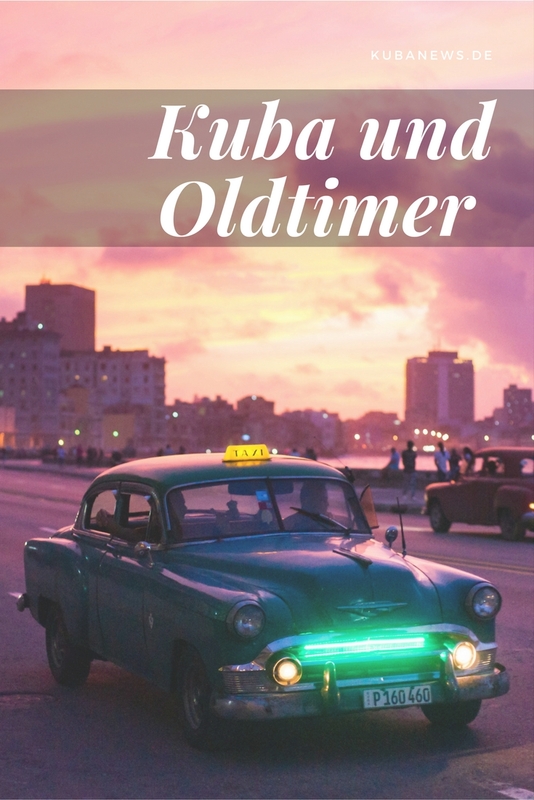 You somehow could suspect that, but the typical Cuban oldtimer hardly consists of the original parts. The engine comes from a Toyota or even a boat, the individual parts are handmade, repurposed or reworked. The car is held together by spit, chewing gum (Cuban chewing gum, not our soft ones!) and good hope, and it is always a tragedy when the car doesn’t move – after all, the income of at least one family depends on the classic car. Do the cab drivers speak Spanish? I’m not sure about that. The typical taxi driver is also rather lazy and once he says something, then the noise of the car drowns out his voice. As it sounds, he could also speak Indian, Armenian or Dwarfish, it makes no difference to me, I don’t understand anything! 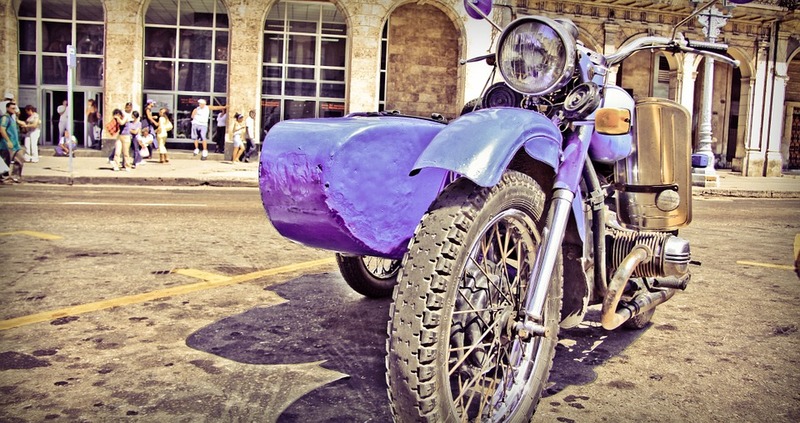 Of course there are not only old cars in Cuba, but also old motorcycles. And the most famous are probably the 200 old Harleys, who still drive on the island – and the Cuban Harlistas show their machines on every 3rd Sunday in June on their solemn procession through Havana. 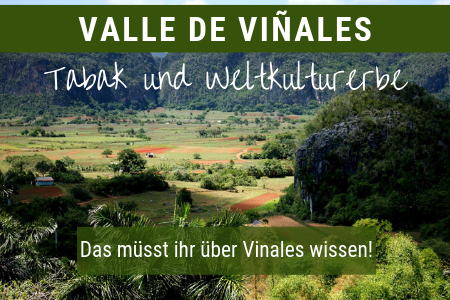 So if you are in Cuba on 3rd of June, don’t miss it! If you are curious how to handle these cars – or if you are a car fan, then I recommend the DMAX documentary Cuban Chrome, because there the car heroes have their say and give you a glimpse in the everyday life of motorists in Cuba. //Unfortunately, the Cuban Chrome was deleted from YouTube, but try searching for “Cuban Chrome Stream” in Google, that should lead to some good results! On December 15 new rules will come into force for the self-employed (Cuentapropistas) and these will also affect the transport sector, especially the vintage taxis, because taxi drivers are also self-employed. 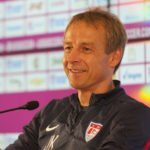 Disclaimer: We still don’t know exactly what will come, because many things are in a flux. But if the regulations come more or less as we describe, there will be some painful changes – not only for us tourists. 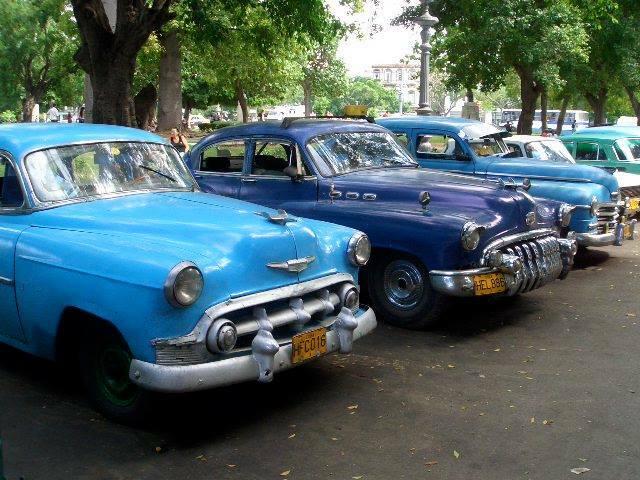 A few years ago it was only allowed for Cubans to use the collective taxis (“Almendrones, Máquinas”), but not for tourists. Since a few years this is no longer a problem, as a tourist I have been travelling a lot with the beautiful old route taxis. Now the wheel is turning back and we tourists will only be allowed to take special tourist taxis, called “comfort taxis”, which have accident insurance and have gone through a kind of Technical Inspection Agency. It is clear that this is of course good for us in the event of an accident, but it is also clear that only very few oldtimers will meet the requirements. For the taxi drivers themselves, the division is also disadvantageous, because they must decide on one of the three licenses: route taxi, free taxi or comfort taxi. Previously, they could decide according to the situation, but this option is now no longer available. If you want to drive overland, you also need 3 years of professional experience in passenger transport. 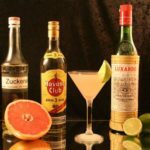 One thing that has some advantages for Cubans is the legalization of the distinction between driver and owner. Currently, many taxis drive with a paid driver, while the taxi belongs to someone else. Previously, this was illegal, but not prosecuted. The situation is now being legalized by the new profession of car rental. This gives the taxistas legal certainty, but of course the state is also interested in levying the taxes that are currently lost. Up to now, taxis have almost only driven with black market fuel. This is going to change now, taxi drivers are only allowed to buy gasoline at official gas stations. Similar to an offence against passenger transport, an offence here is also punished with licence withdrawal. In exchange, the gasoline is heavily subsidized, Diesel is delivered for 2 CUP (8 Euro cent), gasoline starting from approx. 40 Euro cent, so that the fuel costs for the taxistas are quite under market price. 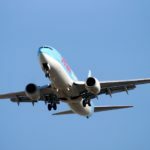 It is also a nuisance for the state that the routes cost too much, currently 10 pesos for one route – which is quite expensive for the average Cuban. The price will be now limited to 5 pesos. Who doesn’t stick to it = license withdrawal. In combination with the reduced petrol price, in time it will become apparent whether the combination of price limitations and subsides are viable – tests are currently being carried out in Havana. By the way, there already was a recent attempt to regulate prices: a planned price increase was not allowed to taxi drivers and they were threatened with license withdrawal in case of a violation. As a consequence the taxistas then shortened the distances. But even this intervention has already led to fewer collective taxis on the roads. At the moment it is much more difficult to get a ride than in the past, especially if you want to go to another district. For example, we live in Vedado and have problems getting an Almendron (=old car) to Habana Vieja – which used to be no problem some years ago. Most taxis today stay in Vedado and don’t drive long distances, and if they do, they are simply fully occupied. for tourists: we cannot take any more vintage cars, neither as a regular passenger, nor can we simply stop one of these old cars (this applies also to Ladas) and use it relatively inexpensively as a taxi. We have to take one of the expensive tourist taxis (about 99% of them the yellow Chinese Geely taxis). Or we take one of the vintage tour cars for a sightseeing tour – thats nice, and expensive, but doesn’t bring us from A to B. 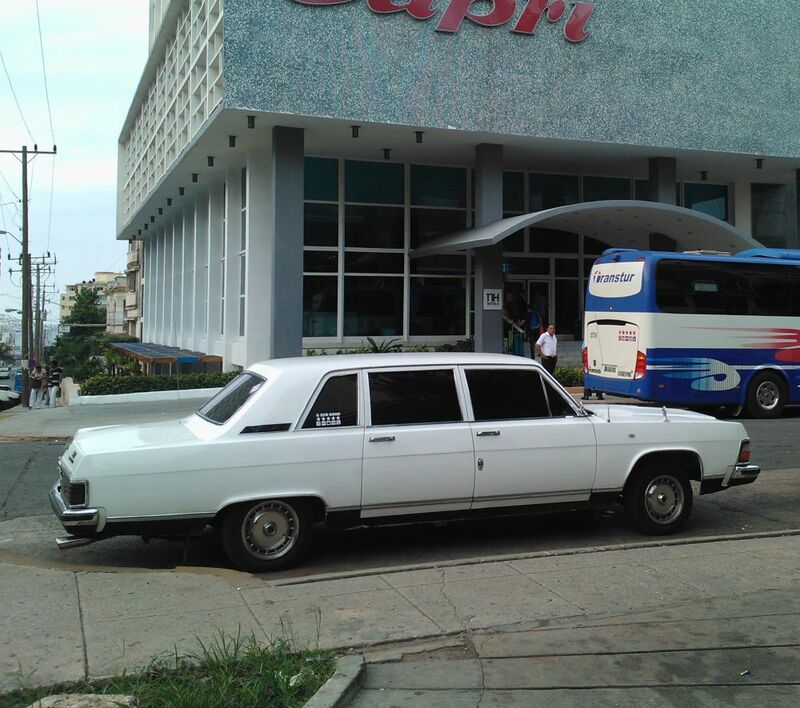 For Cubans: there could be much less public transport possibilities, because it is simply not worth to drive around with your own car for 5 pesos per passenger, even with subsidized gasoline. Already now, with the current restrictions, the number of cars on the roads has decreased significantly. When the going gets tough, Cubans will have problems getting to work or anywhere else. Although the government gets new buses on the streets, that could be not enough, they’re much too full already. How will it happen in reality? However, these are all just snippets of information that I have picked up, rumours or excerpts from the law. I don’t know if everything of the above will happen as described. Also, I don’t know if the state fuel allocation is a blessing for the taxistas. But I will keep you up to date on what will happen in the near future. 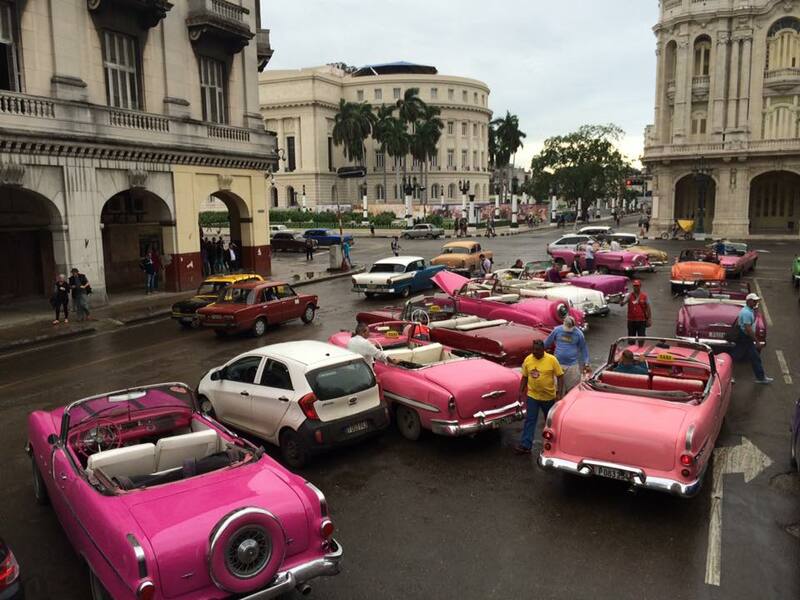 The Cuban classic cars are of course the tourist attraction and the cityscape cannot be imagined without them. But for the Cubans they are one thing above all: the arteries of transport, which ensure that the economy does not collapse and the workers comes to work. Meanwhile there are more and more new cars, but the imports of western or Chinese cars are strongly limited: the cars are sold by the state with horrendous mark-ups. 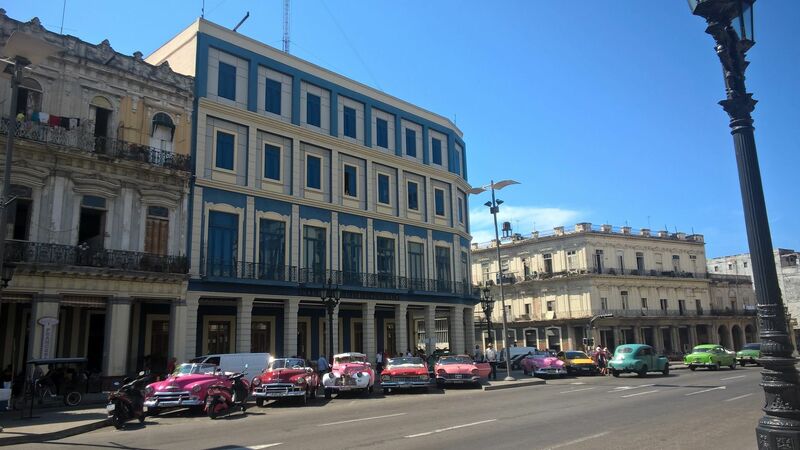 Nevertheless, the road is slowly changing, outside the taxi routes the streets get “more normal” with all the new cars – Cuba is becoming more modern and there are already the first traffic jams 😉 So hurry up and jet to Cuba so that you can really enjoy this great part of Cuba as well.